The mist shrouded moors which adjoin Haworth, West Riding, Yorkshire, UK. Haworth, West Riding, Yorkshire, England, United Kingdom ( population about 6000) located about 212 miles north of London and about 60 miles north east of Manchester owes it’s fame almost exclusively to the tremendously talented Bronte sisters Charlotte (Jane Eyre), Emily (Wuthering Heights) and Anne (Agnes Grey and The Tenant of Wildfell Hall.) Their wild and also talented but tortured and alcoholic brother Patrick Branwell Bronte adds to the allure of Haworth. 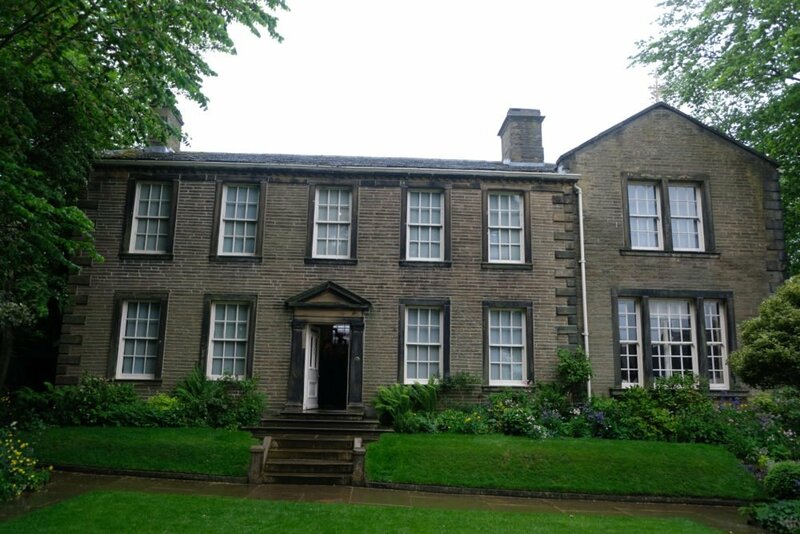 The very well preserved Bronte Parsonage, where their father Patrick Bronte and his family spent in essence their entire lives, is the primary place of general tourists as well as Bronte enthusiasts to visit. Beyond the town and behind the Bronte Parsonage, so beloved of the sisters who took almost daily walks on them, lie the wild and still mainly uninhabited moors. The moors, made so famous and integral to Emily Brontr’s Wuthering Heights, still beckon those who wish to retrace the footsteps of those famous sisters but BEWARE, the moors are still wild and one unfamiliar and unprepared could easily become lost in it’s wildness. I had the pleasure of touring the parsonage and the town with the excellent tour guide Lynn a native of Haworth and an associate of Classicbritishdramatours.com but the clouds were so low the day of my visit that I was advised that even experiences moorland walkers could become hopelessly lost on such a day. 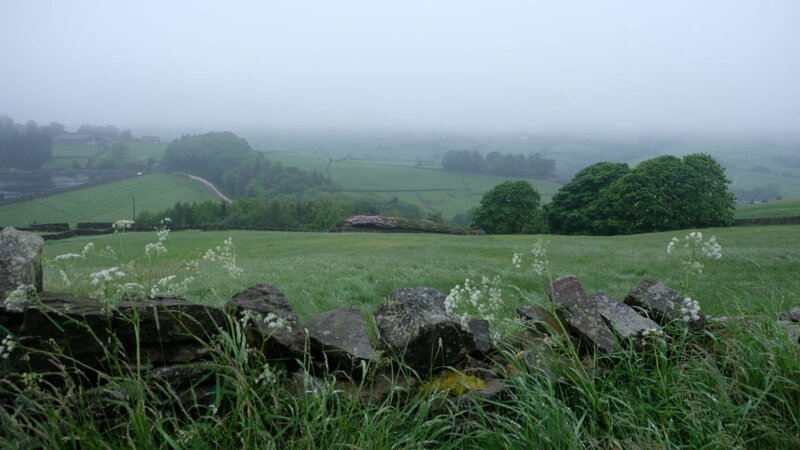 The clouds and drizzle that day however gave me a small sense of what the Bronte family lived through on a daily basis in the early 19th century. The Bronte Parsonage Haworth, England.